I've been on a work trip to Röros for the last few days. It was mostly about seeing how they work with their mine museum and building conservation. The program was really packed, but there were some costuming related stuff as well. On the way there we stopped at Härjedalens Fjällmuseum, which is a regional museum for Härjedalen. It's a small museum, but really nice, and they had one part about the dress of the people in Härjedalen. 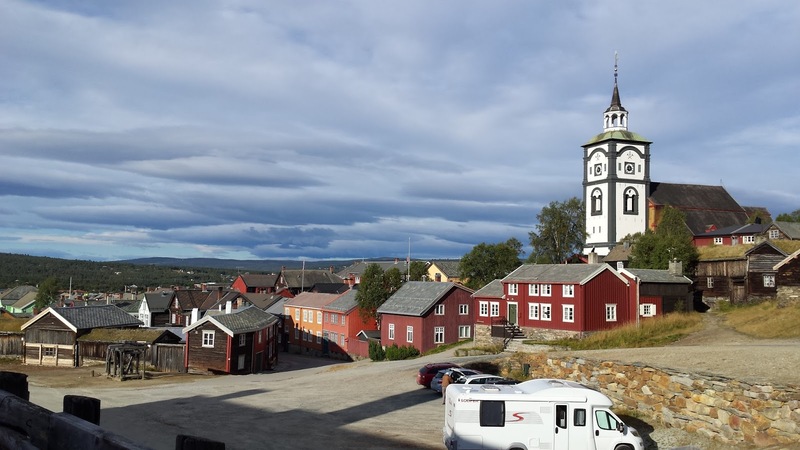 Härjedalen is very much a transit region, basically in the middle between the Swedish Baltic coast and the Norwegian Atlantic cost, and it's reflected in how they dressed. The clothes were very much of the latest cut, and there were a lot of them. 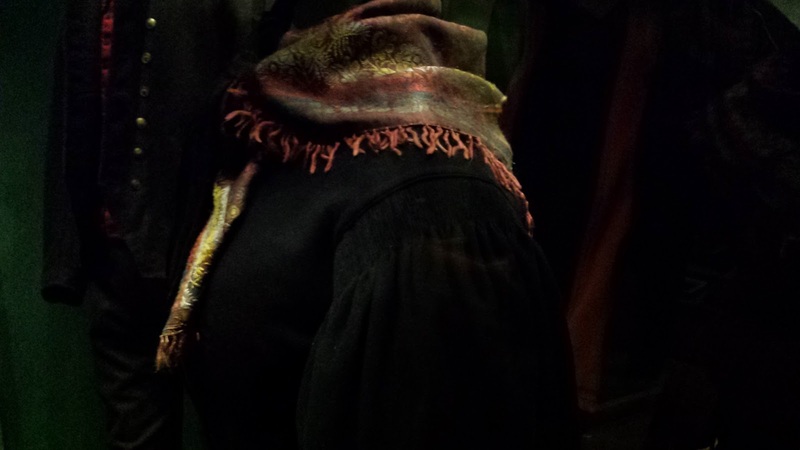 A typical woman in Härjedalen in the early 19th century regularly owned around 100 different articles of clothing. Status was all reflected in the clothes, so even if you lived in a shackle, you made sure to look good before going out. 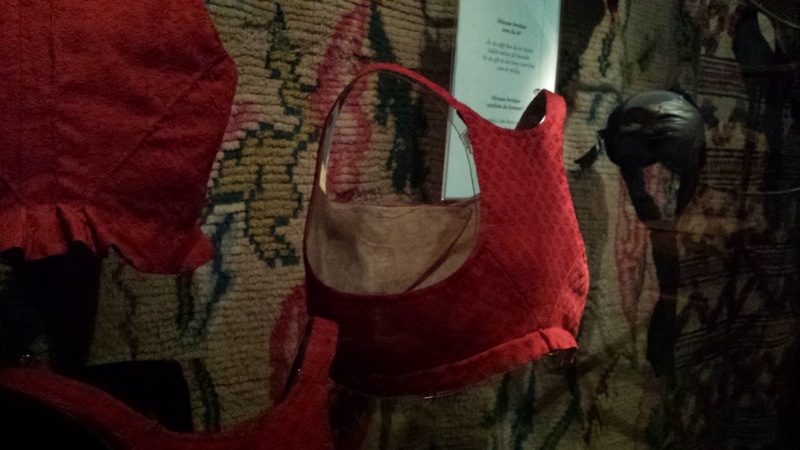 I really liked these three bodices from around 1820. The regency waist line is obvous, since the bodices are really short. The fronts are wrapped over each other, and I guess pinned in place. 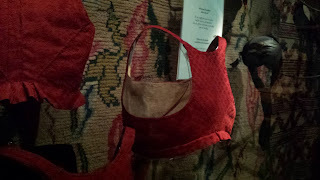 I really enjoyed seeing the closure, since I haven't seen too many bodices displayed with the back towards the viewer. In the mining museum in Röros they also have a costume exhibition, unfortunately it was really hard to take photos there, and I only had time to rush through it. 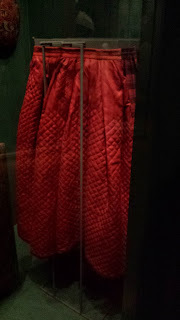 I really fell in love with this red quilted petticoat. I couldn't find a date for it, but most of the clothes were from around the middle of the 19th century. 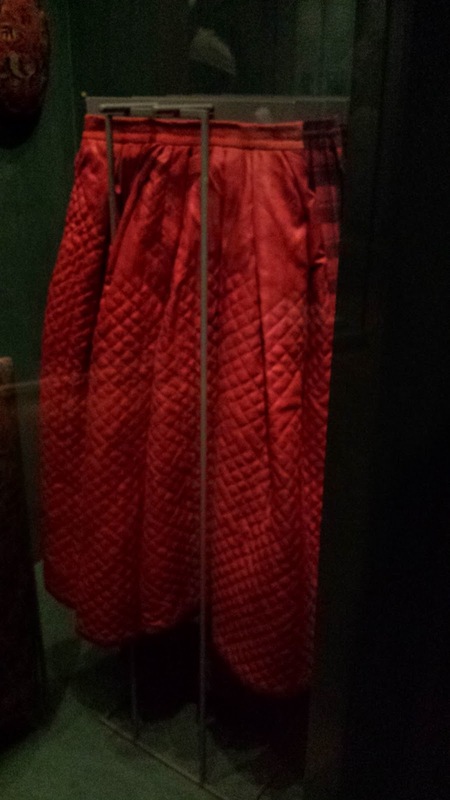 I would love to have a quilted petticoat like that for my 18th century wardrobe though. It's hard to see but this jacked from around 1830 was the thing I was most impressed with. The very wide sleeve has been gathered with perfect stroked gathers into the narrow arm scye. Overall I can really recommend a visit to Röros it's a very beautiful town with a fascinating history.